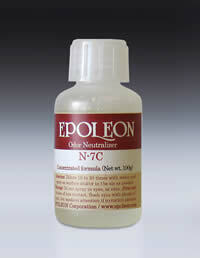 Epoleon Odor Neutralizers keep water soluble cooling and cutting fluids odor free! Recycled water soluble cooling and cutting fluids rise in temperature during the recycling process. This, in turn, causes the fluid ingredients to decay and produce malodors. 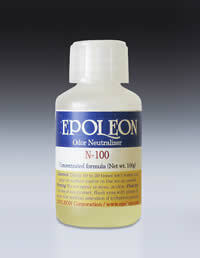 Epoleon odor Neutralizer, reacts with and neutralizes the odor unlike masking agents. Epoleon has been tested and proven effective in controlling odors in metal shops worldwide. Not only does Epoleon eliminate odors but also allows you to extend the fluid change time, lower manufacturing cost and provide a pleasant working environment. Epoleon was introduced a revolutionary approach in cutting down on recycled water soluble cooling and cutting fluid odors. Unlike masking agents, Epoleon odor neutralizers chemically convert odor-producing gases into non-odorous, non-toxic compounds so the source of odor is eliminated, not simply covered over. Epoleon provides the most scientifically advanced odor neutralizers on the market. Epoleon odor neutralizers are able to react upon such a wide variety of gases to give you the most through results possible. 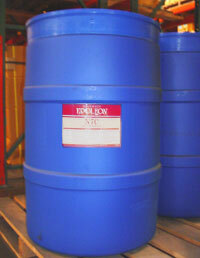 Epoleon is totally organic, biodegradable and water soluble. Our concentrated liquid formulas are also offered with or without a fragrance. For optimal results, the N-100(Item #63545T21 for McMaster-Carr Supplies) and N-7C(Item#63545T22) formulas should be used together in a 5 to 8 parts of N-100 to 2 to 5 parts of N-7C ratio. Using a combination of both formulas will ensure that the greatest numbers as well as the widest variety of gases are neutralized. The Epoleon formulas should be added directly to the cutting fluid holding tank. Each formula should be added to the tank separately, one after the other. 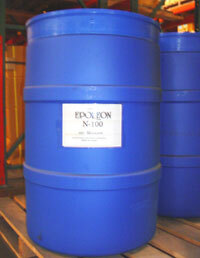 Initially, add 0.1 to 1% Epoleon concentrate against the total volume of diluted fluids. In some cases, where there are no apparent odors, adding Epoleon serves as a prevention measure. When odors again become noticeable, add another initial dose Epoleon concentrate to your diluted fluid. Repeat this procedure as necessary. 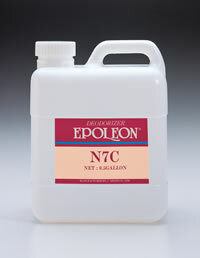 Remove air-borne odors from wastewater treatment, garbage, cutting fluid, pesticides, herbicides, composting, landfill, refineries and other similar operations with Epoleon N7C odor neutralizer! The N7C odor neutralizes by means of chemical reaction, counteraction and absorption. This enables N-7C to react with a variety of gases (acidic, neutral and alkaline) simultaneously. The N7C works to neutralize odorous gases and eliminates the source of odors, not just cover them up as most masking agent do.